Linux: The only real solution! ***** I have RAs 2018/2019, on FPGA-based projects. If you have experience with FPGAs, please email me to set up a time to discuss. Professor Plusquellic received both his M.S. and Ph.D. degrees in Computer Science from the University of Pittsburgh in 1995 and 1997, respectively. He is currently a Professor in Electrical and Computer Engineering at the University of New Mexico. His research interests are in the area of nano-scale VLSI and include security and trust in IC hardware, embedded system design, supply chain and IoT security and trust, silicon validation, design for manufacturability and delay test methods. Professor Plusquellic received an "Outstanding Contribution Award" from IEEE Computer Society in 2012 for co-founding and for his contributions to the Symposium on Hardware-Oriented Security and Trust (HOST), and again recently in 2017 for "Co-Founder of and providing Outstanding Contributions to the IEEE International Symposium on Hardware-Oriented Security and Trust (HOST) for the Past Ten Years 2008-2017". He served as General Chair for HOST in 2010, for the Defect-Based Testing Workshop in 2006 and as Associate Editor for Transactions on Computers. He is currently serving as Editor-in-Chief of Hardware Security for Cryptography, MDPI, as Hardware Demonstration Chair at HOST and has been engaged in presenting IoT-based tutorials at HOST. 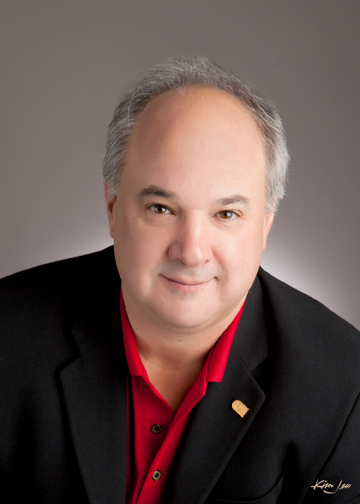 He has recently been inducted into the HOST Hall-of-Fame and has authored or co-authored three book chapters for Springer Link on the topics of PUF-based Authentication and Hardware Trojan Detection. He received the "10 Years of Continuous Service Award" from the International Test Conference, a Best Paper Award from VTS, an ACM Distinguished Service Award from SIGDA and two Austin CAS Fellow Awards from IBM. He received the "Albuquerque lab-to-business accelerator" award in 2016, the "2014 Innovation Award" from the Science and Technology Center at the University of New Mexico, was a "Featured Entrepreneur" within the School of Engineering and has multiple patents and provisional applications filed with the US. Patent and Trademark Office. Professor Plusquellic is President and CEO of IC-Safety LLC, is CTO for Enthentica, LLC and is a partner of Magic Dragon Technologies, LLC, all start-ups in the hardware security and trust space. He has recently fully developed two on-line courses in Hardware-Software Codesign for FPGAs (http://ece-research.unm.edu/jimp/codesign) and Hardware-Oriented Security and Trust (http://ece-research.unm.edu/jimp/HOST). He is serving or has served on the Program Committees for HOST, Design and Test in Europe, International Test Conference, International Conference on Computer-Aided Design and VLSI Test Symposium. He has published more than 70 refereed conference and journal papers. He is a Golden Core Member of the IEEE Computer Society. ABQ Journal, "UNM-linked Startup Launches Accelerating, July 18, 2016"
ABQ Journal, "ABQ Lab-to-Business Cccelerator Ready to Launch, Jan. 7, 2016"
Science and Technology Center at the University of New Mexico, "STC Commercialization Activity for Just Ended Fiscal Year Continues to Grow Despite Economy"
UNM Engineering Magazine, "Accelerating Innovation"
UNM Engineering Magazine, "PUF Goes the Hacker"
My primary interests are in Hardware-Oriented Security and Trust, Design for Manufacturability, Defect-Based Test, e.g., IDDQ/IDDT, Small Delay Fault Test, Model-to-Hardware Correlation and Process Monitors.